This is a review of a split album between Canada's Kabexnuv and Brazil's Dol Guldur called "Wings Of Black Holocaust" which was released as a joint effort between Kult Of Medusa Productions and Bud Metal Records and we will start off the review with Kabexnuv a solo project that plays a very raw style of occult black metal. A very fast and raw black metal sound starts off his side of the split along with some blast beats and grim screams as well as all of the musical instruments having a very powerful sound to them and the songs also bring in a great mixture of slow, mid paced and fast parts and the solos and leads have more of a melodic and modern style while the rest of the music is very heavily rooted in the second wave style and some of the tracks are very long and epic in length and also bring in a ritualistic feeling at times, the production sounds very dark and raw while the lyrics cover Occultism, Thelema, and Left Hand Path themes. In my opinion Kabexnuv are a very great sounding raw occult black metal solo project and if you are a fan of this musical genre, you should check out his side of the split. RECOMMENDED TRACKS INCLUDE "Ritual Of Horus" and "Astral Telepathy From The Damned". Next up is Dol Guldur a band that plays a very dark and raw form of black metal. A very fast and raw old school black metal sound starts of their side of the split along with a decent amount of blast beats and the musical style is very heavily rooted in the 90's second wave style and also uses grim and high pitched screams and the songs also use a good mixture of slow, mid paced and fast parts and you can also hear a brief use of classical guitars and all of the songs avoid any modern influences and one of the tracks also brings in a brief use of spoken word parts, the production sounds very dark, raw and old school while the lyrics are written in their native tongue and cover dark themes. 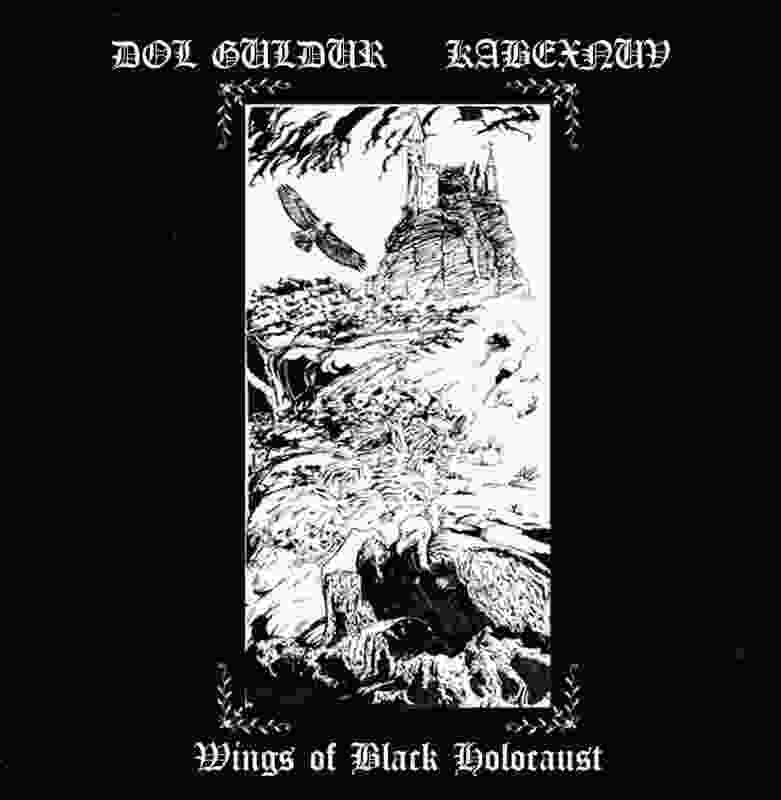 In my opinion Dol Guldur are a very great sounding dark, raw and old school black metal band and if you are a fan of this musical genre, you should check out their side of the split. RECOMMENDED TRACKS INCLUDE "Ostracismo & Xenofobia Universal" and "O Silencio Daqui Pra Frente". In conclusion I feel this is a very great sounding split and I would recommend it to all fans of the raw, old school and occult black metal genres. 8 out of 10.